WEST SIMSBURY, Conn., June 25, 2013 /PRNewswire-iReach/ — Epidemic Answers, a 501(c)(3) nonprofit organization at www.epidemicanswers.org dedicated to educating the public about the epidemics of chronic illness and helping parents find healing solutions, is joining forces with Developmental Delay Resources (www.devdelay.org), the only educational resource for families dealing with developmental delays that integrates the full spectrum of treatments and therapeutic modalities from diet interventions to biomedical protocols, physical therapies and everything in between. Epidemic Answers (EA) and Developmental Delay Resources (DDR) are combining efforts to raise awareness about the record number of children being diagnosed with chronic health conditions and developmental delays. The rates of autism are now 1 in 50 children and 1 in 31 boys. The rate of asthma is 1 in 8 children, and the rate of ADHD is 1 in 10 children. Both EA and DDR are dedicated to educating parents about the environmental factors that contribute to these conditions. Beyond that, both organizations subscribe to the belief children can recover from these conditions. DDR’s Executive Director, Patricia Lemer, will be joining the EA Board of Directors, bringing forty years of experience to advise and help guide the future of Epidemic Answers. DDR will be supporting Epidemic Answers’ latest project aimed at raising awareness: The Canary Kids Project. For this project, Epidemic Answers will be supporting seven children with a diagnosis (such as autism, ADHD, allergies, or asthma) and providing them with free healing and recovery services for eighteen months. These children’s recovery journeys will then be documented and made into a feature length film. Epidemic Answers will manage the collaboration between DDR and EA. DDR members are welcomed to join the EA community by visiting www.EpidemicAnswers.org and signing up for the newsletter. 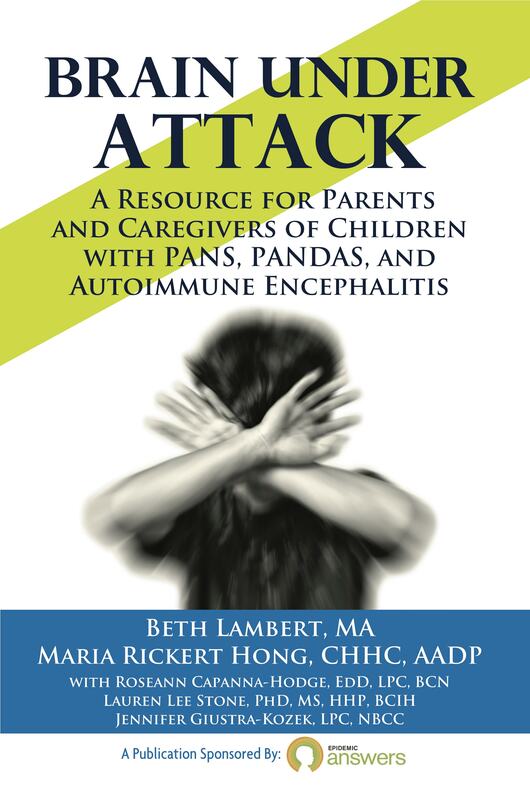 Epidemic Answers was founded in 2009 by two moms, Beth Lambert (author of “A Compromised Generation: The Epidemic of Chronic Illness in America’s Children”) and Michelle Tortora. Through a variety of healing modalities (including diet, supplements, energy medicine, homeopathy, and others), both Beth and Michelle have recovered their children from chronic illnesses including autism, sensory processing disorder, Lyme disease, allergies and more. Epidemic Answers is dedicated to educating the public about the epidemic of chronic illness affecting the current generation of children and providing prevention and healing solutions for parents, caregivers and future parents. View the press release here on PR Newswire. I dont see anything about the issues of vaccinations and the part they play in this huge uptick in childhood illnesses since the huge number of vaccines have been instituted, nor doni see anything about the enormous priblem of mouth breathing with the serious unfolding consequences to health and drvelopment including dental problems including malallignment, TMJ, bruxism, sleep and other breathing disorders.